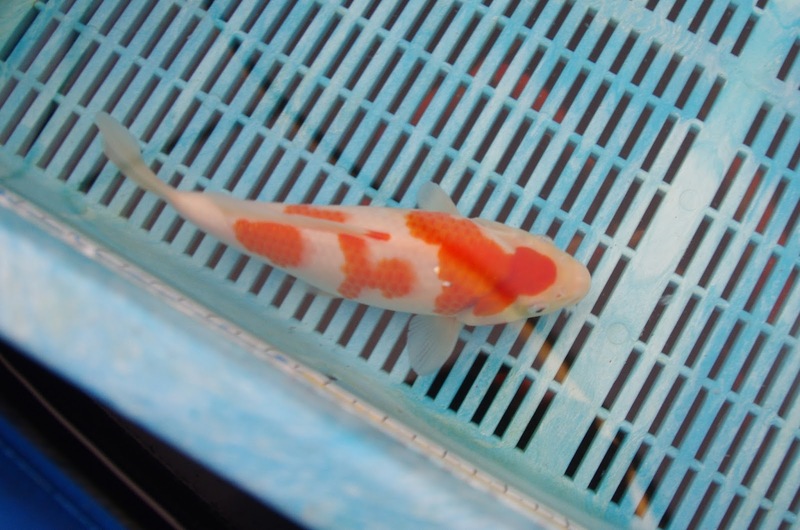 This male kohaku comes from the July 14 spawing, and looked stockier than it's siblings from the very start. I remember it in each selection - stocky, and the white was brighter than most of it's siblings. The pattern was ok, and I took it through the selections; but the real interest for me was how the body developed. Would it always be too stocky? Or would it thin out overtime? 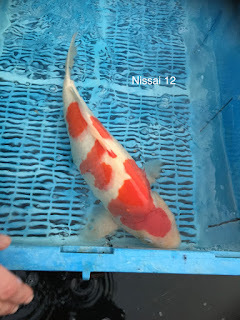 The fish has recently turned nissai, and is only 18 months old so we are a long way off answering those questions. In that time - it's stockiness remained a defining feature for the first 12 months, and I'd say that in the last few months, it's started to lengthen - and while it's still a volumous fish, it's starting to look chunky, but not stocky. And, this coincided with an entry into the Kangei Garden show in early September 2015, where it scooped 2nd place in size 3 overall, - ie, irrespective of variety; and that was out of 30 koi. A really good result, even considering it's a closed show for club members. 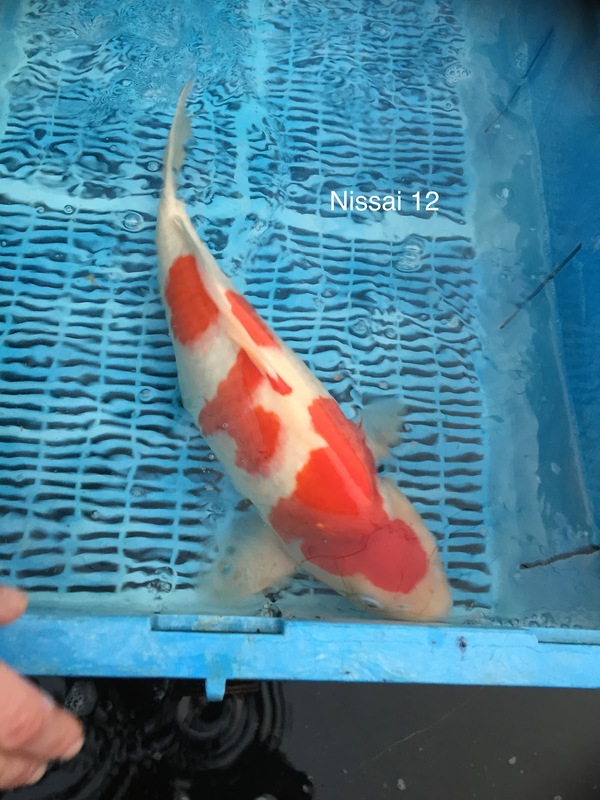 It was benched at 44cm into the show , and at the last set of pics / video in late November '15, it measured 49cm. First up, this pic from 16th January 2015 - when it was 6 months old. You can see it's stickiness from this pic, and it becomes even more apparent if you refer back to other case studies - like #10 ('Bubbles') which was dimiuitive in size at that point. 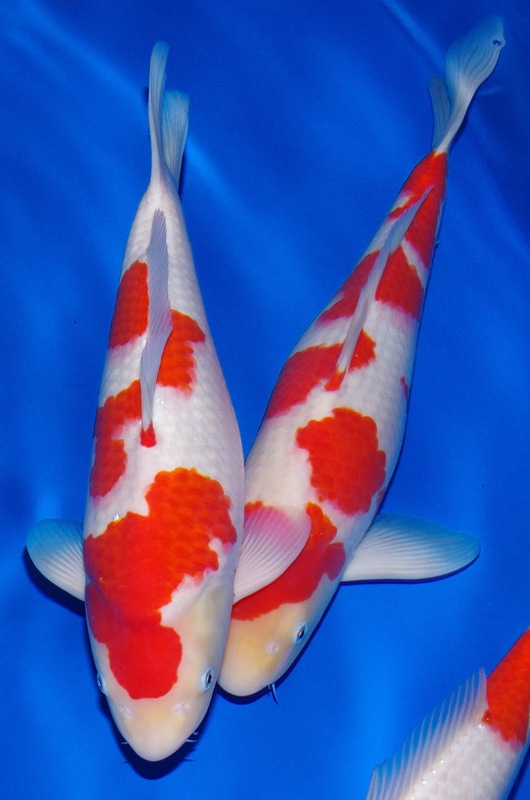 I exhibited the koi at the All England Show at the end of September 2015; it was benched at 45cm, and didnt place at the show. 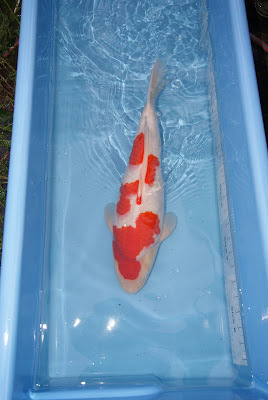 Here's the most recent pic I have of this koi, taken on the weekend 21/22 November '15. Not an easy koi to take a picture of! But you can see in this pic that it's starting to lengthen out a bit. It measured 49cm that weekend, and I have some video of it from that weekend for the records. 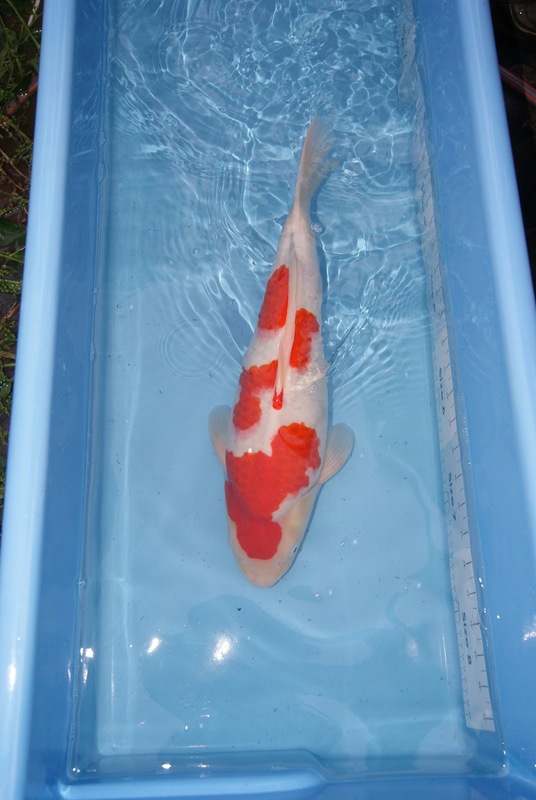 This koi is currently being grown on over the winter, and I'll take another look at it in the spring.